"While standing on location in a place I have never visited, I begin to recognize what is different from all the other places I have been. I try to capture that, the uniqueness," says Cosby. As a plein-air painter Cosby travels extensively, painting what he sees and feels. Bold use of color and an energetic brush stroke is what you will see and feel when viewing a painting by John Cosby. Born in Hollywood California in 1955, Cosby was raised in the west. At an early age he began to draw and paint. He was lucky enough to have a grandmother who was an oil painter. "She would give me the paint, some brushes and a scrap of canvas and set me off to paint. This early experience took the fear out of creating a painting," said Cosby. Cosby started traveling at an early age. At 18 he was chosen as a communications advanceman for President Nixon and began to travel the globe. He continued in this capacity through the Ford Administration. Although he met many interesting people and a saw many things, what interested him the most were the great works of art he encountered. "They haunted me and helped set the course for my career as a painter". After leaving the White House, Cosby rebuilt an old classic sailing sloop designed by Nathaniel Herrishoff. With a friend (who had dreams of being a writer) set sail up and down the eastern seaboard in the inland waterway for 3 years. Thus he began his art career. "Doing drawings of anything that moved me, things began to sell and my course was set," said Cosby. 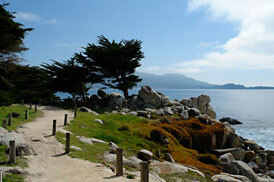 Upon his return to the California, Cosby began painting the sea and landscape of coastal California. With a strong gallery response, his success as a painter quickly followed. Cosby currently resides and maintains a studio in Laguna Beach and Paso Robles, California. He works on location around the world and is represented by some of the finest galleries. 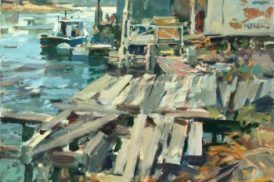 Cosby is a founding board member of the prestigious “Laguna Plein Air Painters Association”, an artist member of California Art Club and an artist member of Oil Painters of America. 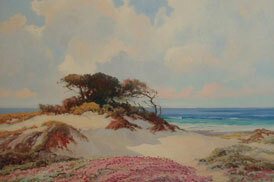 Cosby is founder of the Laguna Beach Plein Air Painting Invitational held at the Laguna Art Museum. With his bold contemporary style, Cosby has captured the imagination of some very important collectors. His work can be found in many private, public and corporate collections around the world. Cosby is recognized internationally. 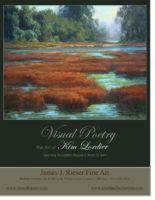 His works can be seen at James J. Rieser Fine Art, Carmel, CA. 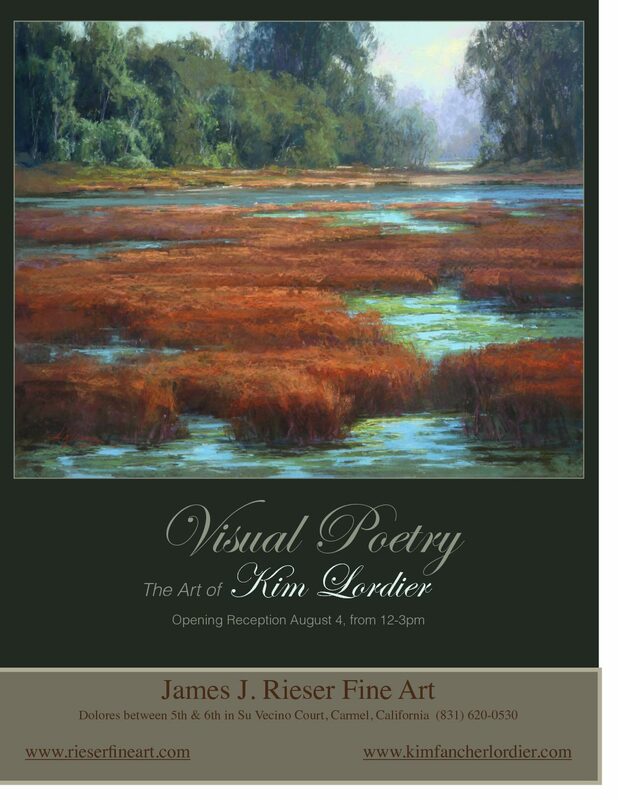 2003 Group Exhibit, Sights of Southern California: Plein Air Art Exhibition, Bowers Museum; Santa Ana, CA. Honorable Mention Award. 2001 Chairman and participating artist, "3rd Annual Laguna Plein Air Painting Invitational"
2003 Enchanted Isle; A History of Plein Air Painting in Santa Catalina Island, published by The Society for the Advancement of Plein air Painting.